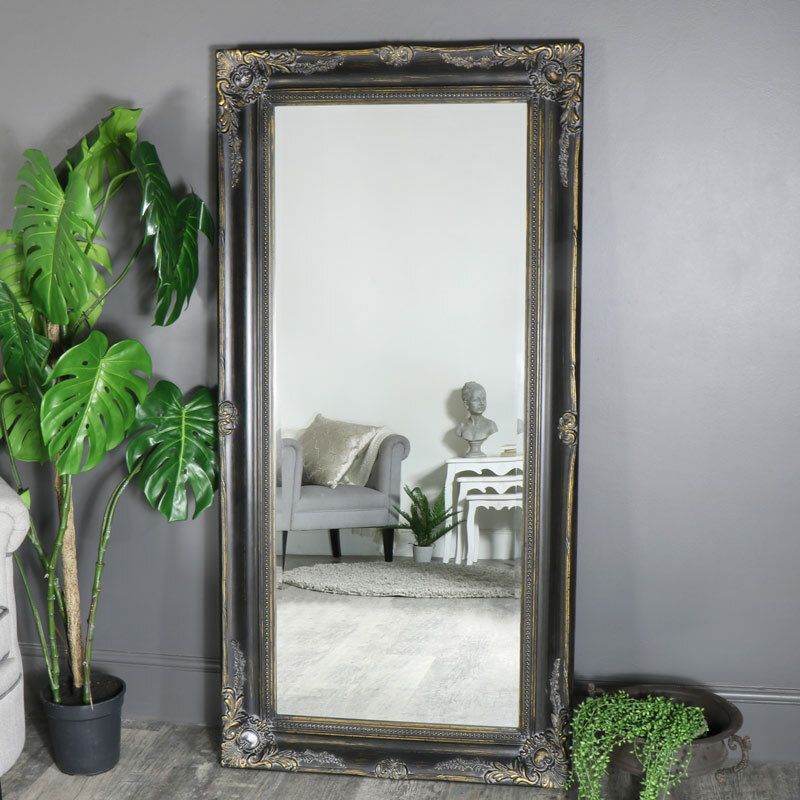 A stunning large, Black ornate, bevelled mirror suitable for practically all styles of bedroom, living rooms and even hall ways. 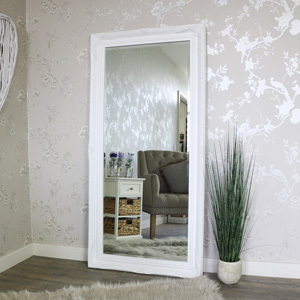 From gothic to rustic, French chic to shabby chic this mirror is a perfect example of “centre of attention”. 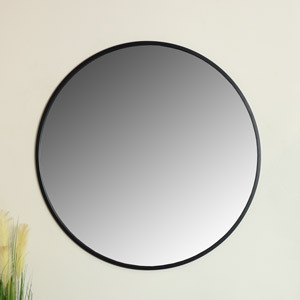 The mirror is striking Black with a subtle distressed, gold brushed finish. 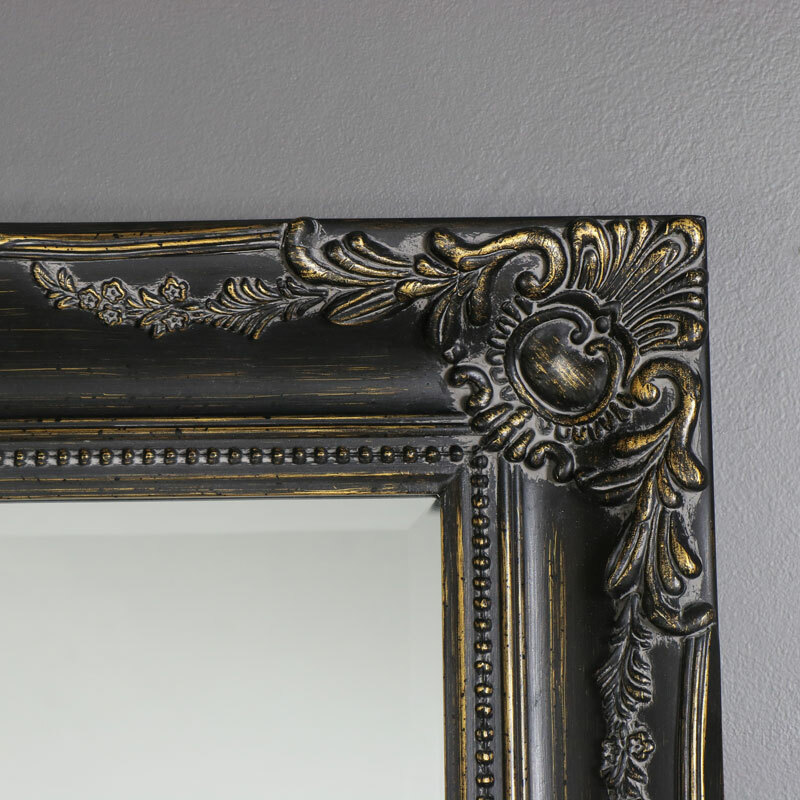 Intricate, carved, ornate detailing surrounds the mirror on the corners and the edges. This mirror is essential for adding a touch of glamour or elegance to your home. 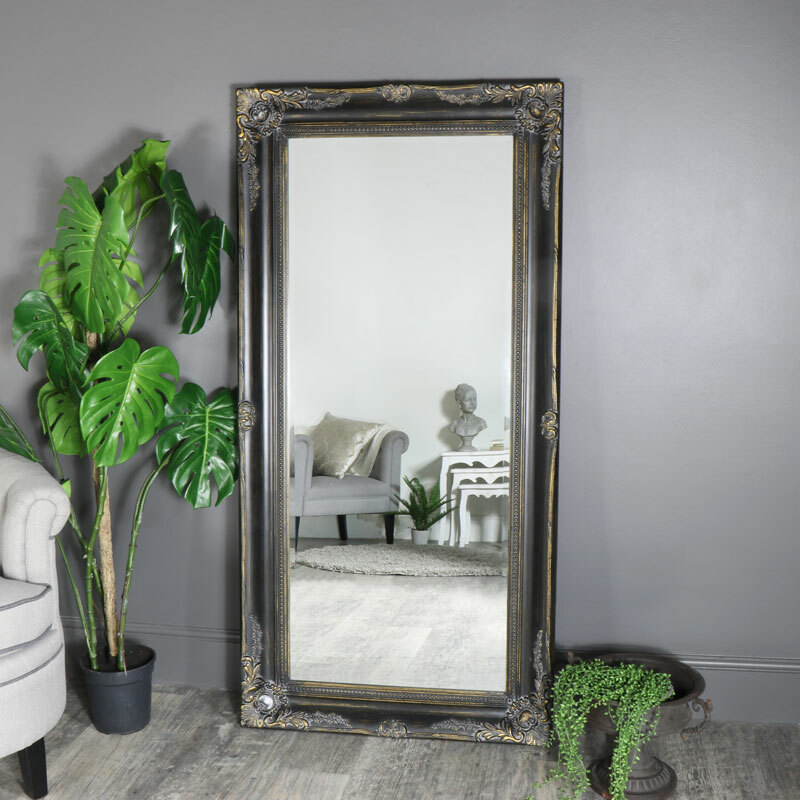 A stunning large, Black ornate, bevelled mirror suitable for practically all styles of bedroom, living rooms and even hall ways. 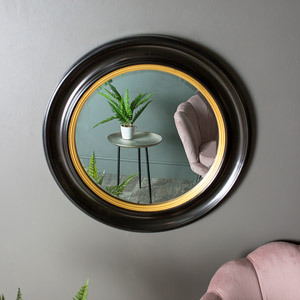 From gothic to rustic, French chic to shabby chic this mirror is a perfect example of “centre of attention”. 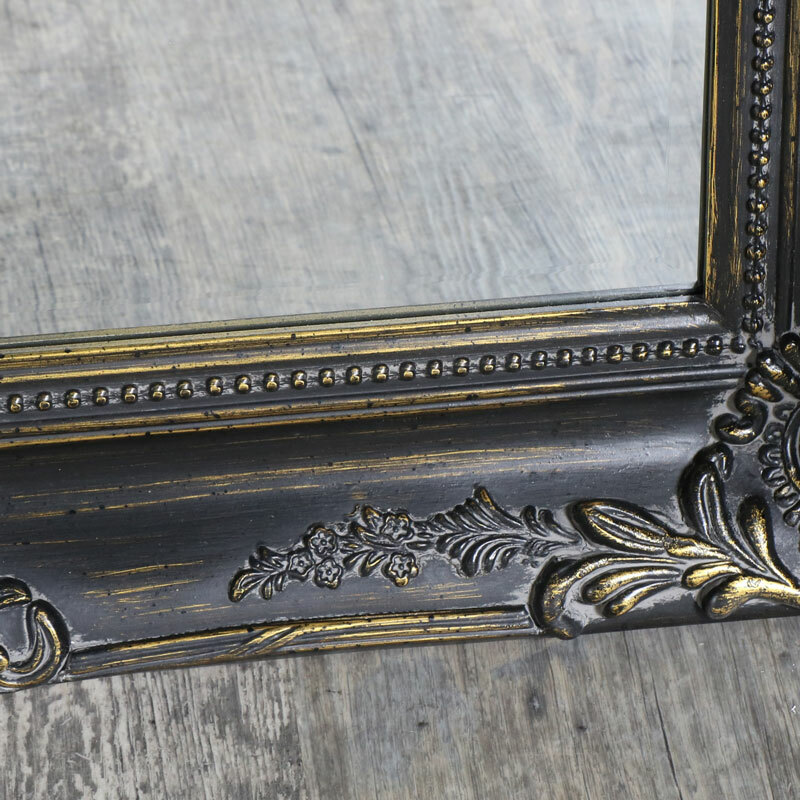 The mirror is striking Black with a subtle distressed, gold brushed finish. Intricate, carved, ornate detailing surrounds the mirror on the corners and the edges. 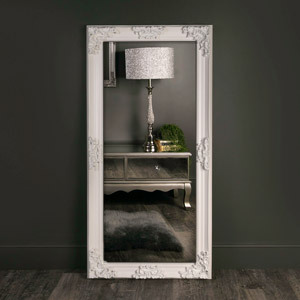 This mirror is essential for adding a touch of glamour or elegance to your home. Fitted with two hooks on the rear to allow easy hanging on the wall. The mirror is quite heavy, so care and proper precautions are required to secure the mirror to the wall. 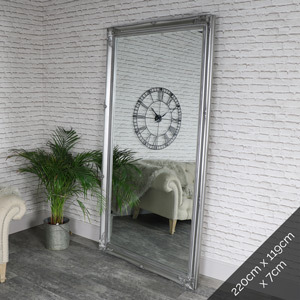 Mirrors are essential for adding light and space in any interior and with our large range or mirrors available you will easily be able to find the right mirror your personality and home. The main colour of this item is a distressed black colour. This item takes 2-12 working days for delivery to mainland UK addresses.